It has taken me a month before sitting down to write this review largely because I’ve been doing nothing with my free time except play Man At Arms TD for iPad ($4.99). After many hours logged in making maps, playing online, replaying levels and combining cards, I have finally finished the lengthy campaign mode and am left wanting even more! 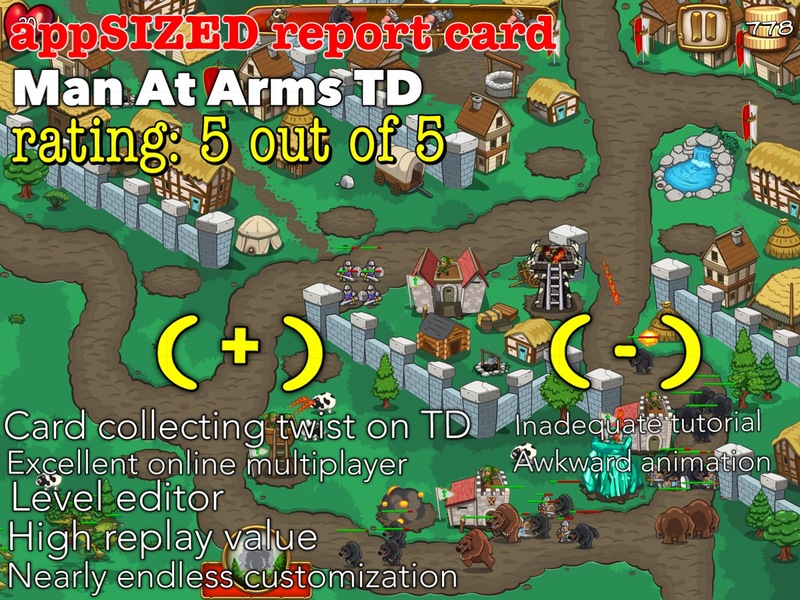 At first glance, Man At Arms TD is not as slickly designed as its tower defense (TD) counterparts. In a genre where games are getting more attractive by the day, Man At Arms TD is rather plainly designed with some awkwardness in the animation. Gameplay wise, Man At Arms TD does not reinvent the wheel with its gameplay. 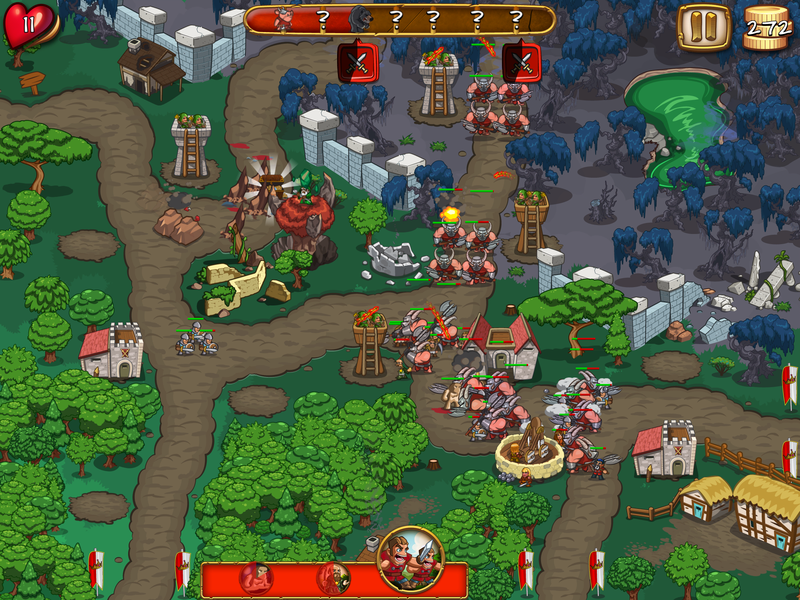 As far as standard tower defense games go, Man At Arms TD offers a fixed path where you can place towers that either: meet advancing creeps from all sides head on (barracks), shoot them down from a wider range (archers), do a magical whammy (mage) or do area damage slowly but surely on a group (catapults). While there is no tower that acts like glue or slowdown as found in other TD games, the towers when fully upgraded have a slow/knock back feature. Standard rules of TD games apply – cheaper towers do less damage but are fast and serviceable for weaker enemies while more expensive and powerful towers are often slower but do a lot more damage. The balancing act here is how you manage your money (in this case, gold coins) and plan strategic locations to maximize your towers. 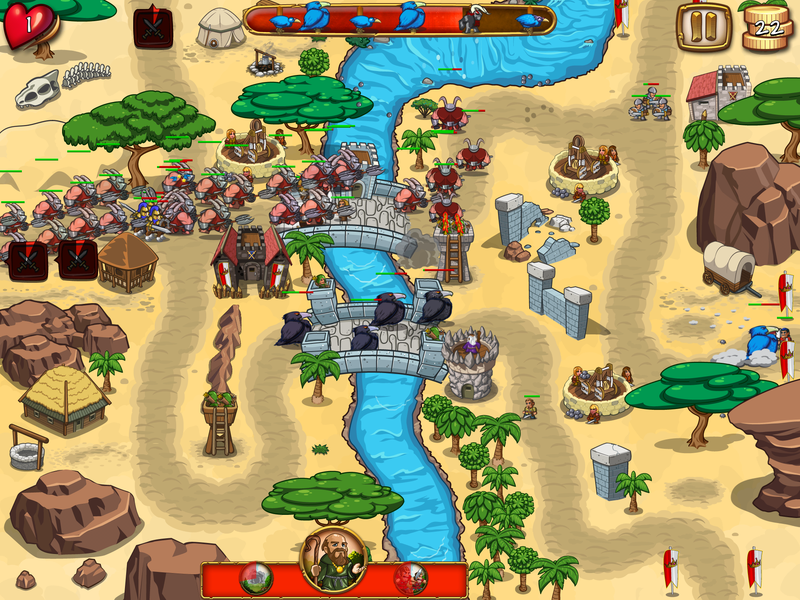 In between, you have variations – timed power ups or boosts, or a massive attack, one-use only type of power as a last resort a la Kingdom Rush (to which this game is often compared). You upgrade towers until they’re maxed out, you deal with limited or expansive range, you deal with bosses and tiny creeps. Rinse and repeat.These are the rules of tower defense games as we know it, but once in a while, a game like Man At Arms TD quietly comes along and changes the rules a bit. Man At Arms TD by Inert Soap follows the ‘rules’ but introduces a twist to your run of the mill TD game and does it exceptionally well – an incredibly fun and deep card collection/mixing system for your towers. This is where it gets interesting and fun. I could go on and on about card collecting but I will spoil all the fun if you plan to buy the game. What makes Man At Arms TD incredibly fun is the idea that you’re not just limited to what towers you have. 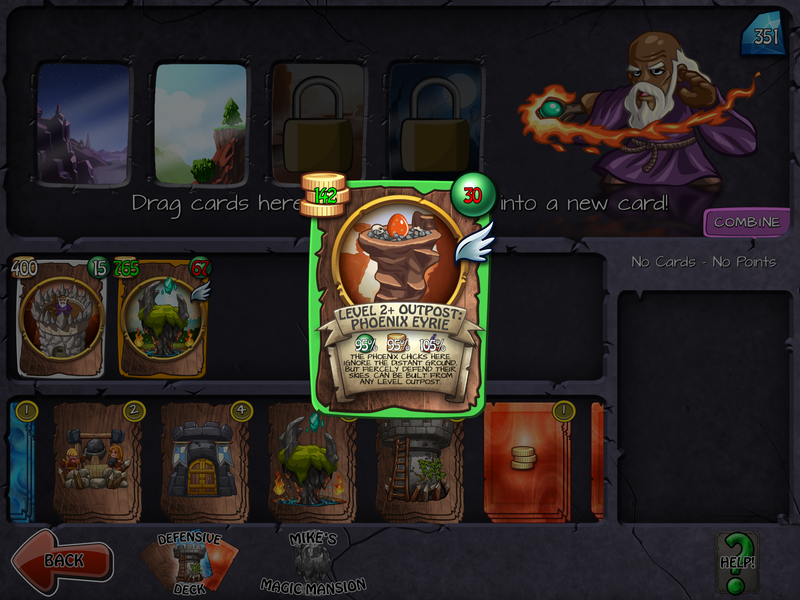 You can buy and sell cards or mix them together to make new cards or make your existing cards cheaper/more powerful. This is the whole fun and mystery of the game. One thing to keep in mind is that you only have a certain number of points for your deck of cards. You can increase your deck space by buying a slot with crystals (increases by 50 for every increase). The in app purchase (IAP) option will enable you to buy crystals which you can use to increase your deck space or buy common/rare defensive and offensive cards. So far, however, I have not needed to buy crystals just to progress in the game. There are plenty of options available to earn more crystals which include mixing together cards to make more powerful ones that can be sold for a nice sum, replaying levels, playing user made maps (including my own), and as for passive income, uploading your own offensive deck for others to beat will earn you some crystals per win. 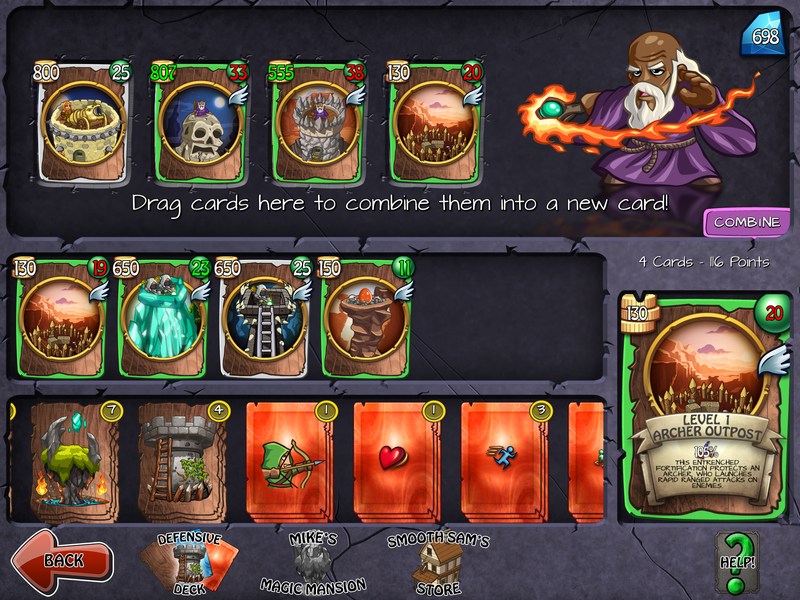 The addictive aspect of Man At Arms TD lies in the card combination (Mike’s Magic Mansion). Combining unlikely cards will produce new ones, and combining similar cards and continuously mixing them up will eventually produce rare cards (you can tell them apart by the border color) which yields a lot of crystals. Some cards will let you earn more money from killing monsters while other cards produce new allies (timed power ups) and enhance their abilities. 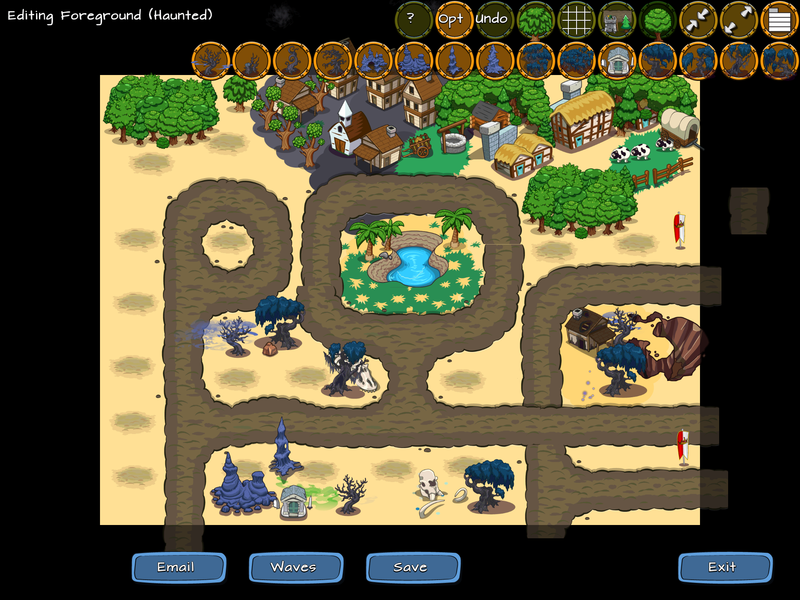 Man At Arms TD also offers a level editor where you can create your own maps and share them via email to others. This is a great feature and should extend the game’s replay value but the lack of an adequate tutorial (in general) makes the process of making a map far from smooth and fun. While I’ve attempted to make my own maps, putting monsters (creeps) on it as an element of the execution part is frustrating. 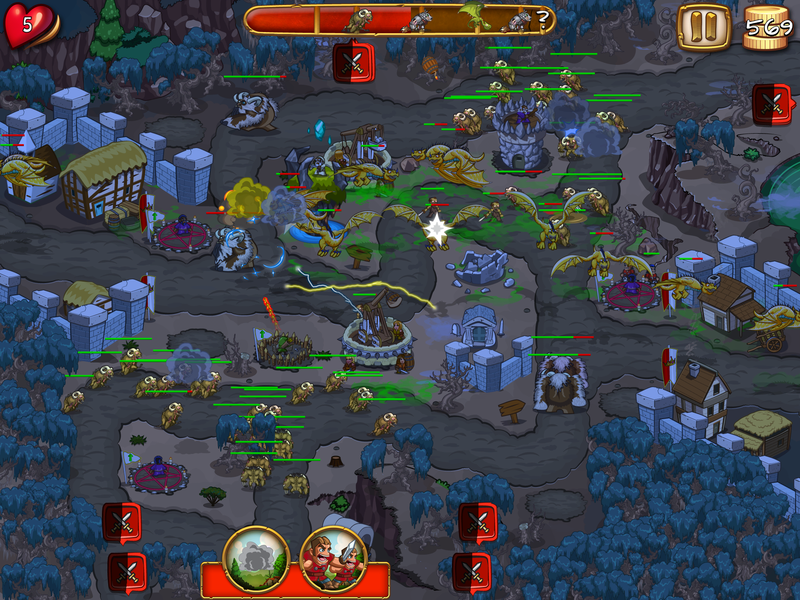 Either the monsters all show up at the same time or there isn’t enough of an interval to make the progress smooth. It would also be great if the maps can be shared online with other players so that Man At Arms TD addicts would have something to play later on. Alternatively, perhaps the user created maps can be uploaded to a server or emailed to the developer who can refine them and release them as new content. Likewise, the offensive deck feature which lets you upload your own monster cards for other players to fight against on the existing maps is not properly balanced. Also, there isn’t much of an explanation as to how to ensure that you won’t be completely overwhelmed by them at the onset. The user interface is not as good as it should be and I hope the developer can work on it. However, the game boasts of a slick online multiplayer mode which just works flawlessly, a nice replay level feature which lets you relive your glory (or shame!) in sepia and the potential for even more content and improvements. That said, Man At Arms TD is an excellent game even with its weird and awkward quirks. I hope that Inert Soap will continue to update it with new content since I already played and replayed the hardest levels available on master difficulty. As it is, I highly recommend it and it has earned a favored spot on my iPad. 5 out of 5 on appSIZED!